Teenagers want so badly to be accepted by others that sometimes they will do anything for acceptance that later they will regret. Louise wanted to be popular so badly that she dropped her real friends to follow Sophie, something that will haunt her life forever. Social media has a way of affecting our lives in unexpected ways. 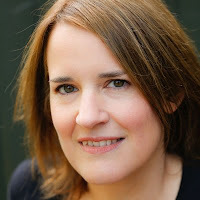 Louise receives a friend request from Maria Weston, who has been dead for twenty-five years Louise thought. Louise is terrified. She knows it’s her fault that Maria disappeared all those years ago, and she has spent every day of her life regretting the decisions she made back in 1989. Divorced for two years, her whole life is devoted to her son Henry but as she searches for clues on the mysterious friend request, she finds out there is a class reunion that has been planned for months and she is hurt that no one included her. Very relatable characters and story line. In today’s day and age anything and everything seems to be ruled by social media and Friend Request is a prime example of what can happen. The characters were not much older than I am, so I found that their school days brought back memories of how cruel kids can be when dealing with their insecurities. As adults, it is easy to still want others to like us and Louise was no different. Full of surprises you won’t see coming if you are looking for a new book to check out this is the one! 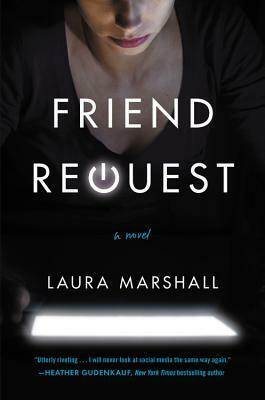 Friend Request is Laura Marshall's first novel. It was shortlisted for the Lucy Cavendish Fiction Prize 2016 and was runner-up in the Bath Novel Award 2016. Laura lives with her family in Kent.